I don't think I have ever been in love so much with a client's baby so much as this little guy! He was so sleepy and snuggly, I could have cuddled him all day long. Harrington had the most perfect smooth skin, soft hair, poutiest lips - just perfection all over! Huge congratulations to Hans and Michele (see their maternity session here) on the safe arrival of their first precious baby. 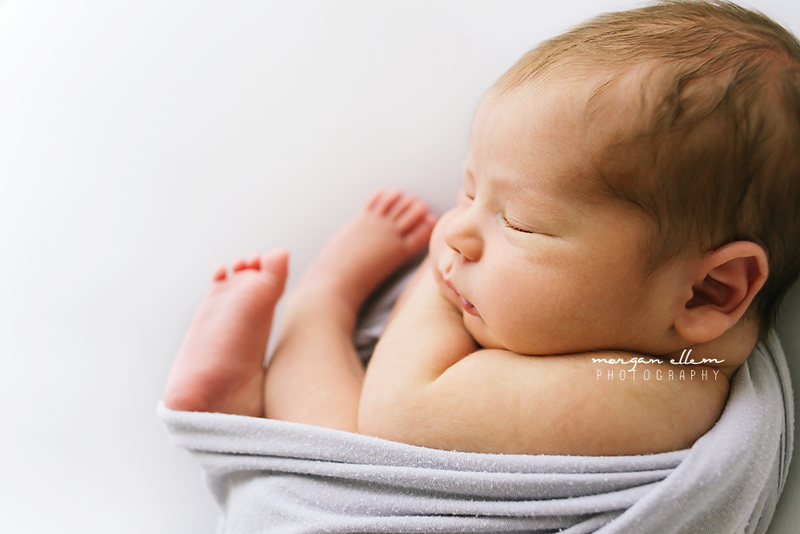 Newborn photos are best done while your baby is still small and sleepy, usually under 2 weeks of age. It is essential to book while still pregnant. If you'd like any more information on my newborn sessions, please contact me and I'll be in touch! Thank you for such a great morning! I can not wait to see more.